Cleaning is absolutely the thing I hate to do most. I also do not like my house to be dirty. So I guess it goes together and must be done! I find myself all over the place when it comes to cleaning and sometimes it feels like I make more of a mess than I plan to, because I start in one spot and then I go to another and never finish the spot before. So a schedule was definitely in my future if you catch my drift. My schedule needed to be short enough for each day that I could make it all happen. I added things for certain days on the one I printed. I put mine up on my bulletin board next to my computer so it would be a reminder. 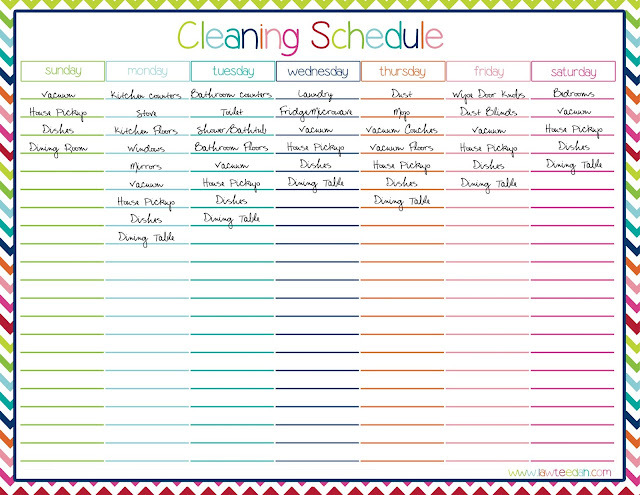 It includes the one I made up for myself with designated areas for each day and also a blank copy for you all to make your own cleaning schedule! Do you feel that it is easier to have specific things to clean each day or do you just do whatever you see first? 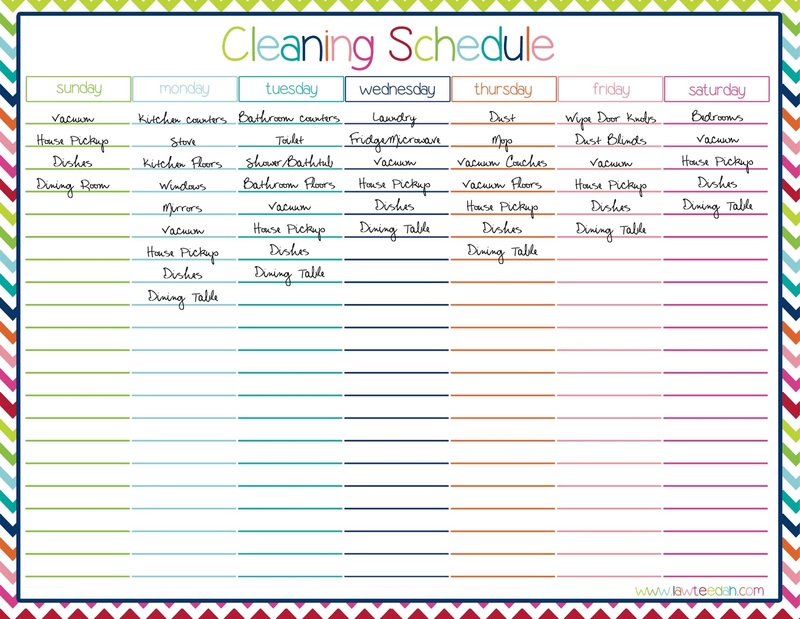 Leave a comment and I may get a Monthly Cleaning Schedule or Challenge (for deep cleaning) going for all of us if I see enough interest. I need to try and get on a schedule. I am so overwhelmed with the amount of cleaning and organizing I need to get done that I feel I accomplish nothing.